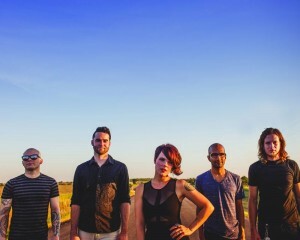 Flyleaf shares their touring tips on Digital Tour Bus! This set of Tour Tips was written by the platinum selling rock band, Flyleaf! You can check out their top five tips for being on the road, after the break. 2. Stock up on your favorite DVD’s/books. As exciting as the road can be there is also down time and especially when I’m resting my voice, I need something to do. Also, getting into a new season of a show is a must. I just finished the Netflix original “House of Cards.” Intense. 3. Be gracious and kind to those around you. Though I get along great with Flyleaf, you are all crammed on a bus together so it helps to be a team player. Selfishness isn’t a good trait for bus life. 4. Get out and explore! I am in a different city everyday on the road so I make sure to see what I can and treat my job like a vacation : ) work and play is the best motto! 5. Dry shampoo, coffee, my teddy bear, pictures of my friends and family back home, a sense of humor and a cell phone to reach others with a sense of humor, music in my headphones (and itunes gift cards handy) are a must for me on tour! !